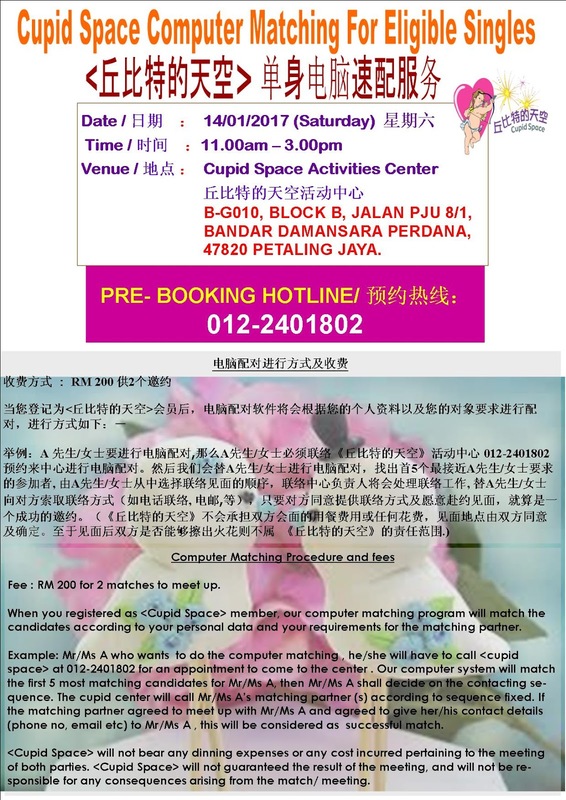 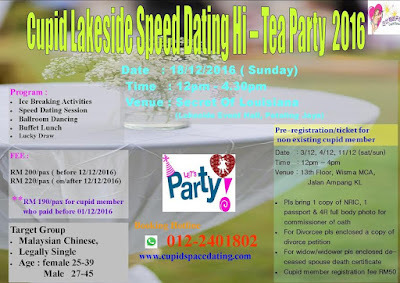 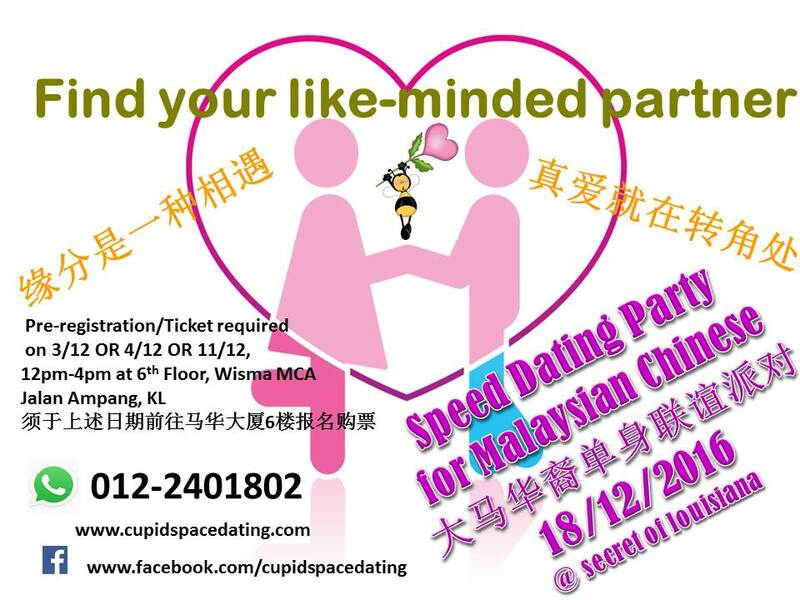 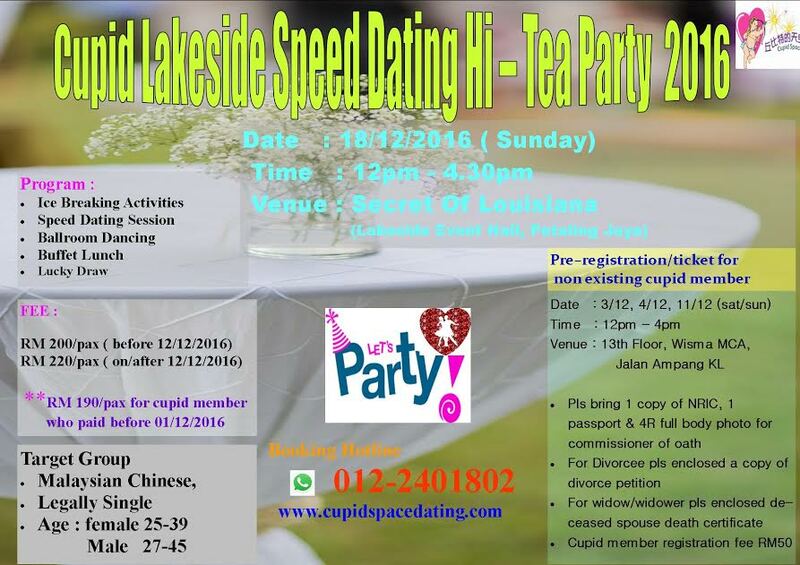 Cupid Space Activities Center is opening on 14/01/2017（Saturday) form 11.00am -3.00pm at Damansara Perdana venue for cupid member to do the computer matching service， those members whom are interested to do the computer matching, pls call 012-2401802 for appointment. Book your ticket Now !!! Option (A) : come to our Registration Counter on 11/12/2016 , between 12pm -4pm at 6th Floor, Wisma MCA, Jalan Ampang.